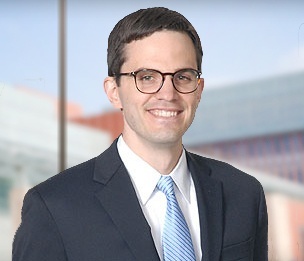 Paul Stewart is a litigation associate in Dykema’s Ann Arbor office. He represents clients on a range of commercial, regulatory, antitrust, and environmental matters. He has particularly deep knowledge of administrative law and statutory interpretation methods—enhanced by his previous employment at a consulting firm in Washington, D.C. where he supported federal agencies in drafting administrative rules and analyzing proposed regulations. Mr. Stewart also has experience planning, managing, and executing discovery projects of all sizes. As a member of Dykema’s Discovery Management & E-Discovery team, he is at the forefront of best practices for managing and reviewing electronically stored information (ESI). Mr. Stewart understands how to use proportional E-Discovery methods that address the unique features of each case. As a result, he has delivered efficient, effective, and compliant results for clients on numerous discovery projects. While in law school, Mr. Stewart served as editor-in-chief of the Wayne Law Review. He also received numerous legal writing awards and merit scholarships, including first place in the 2014 Beveridge & Diamond Constitutional Environmental Law Writing Competition and “best brief overall” (with his teammates) at the 2015 National Environmental Moot Court Competition. "Pike Balancing: Vulnerabilities of State Greenhouse Gas Regulations and Possible Solutions"
"Climate Change Adaptation Cost in the United States: What Do We Know?" Co-author with Fran Sussman, et al.